Spring practice gets under way this week for Florida Gators football. Head coach Dan Mullen took the podium on Tuesday to talk about his thoughts on the team, including quarterbacks, the conditioning program and injuries. 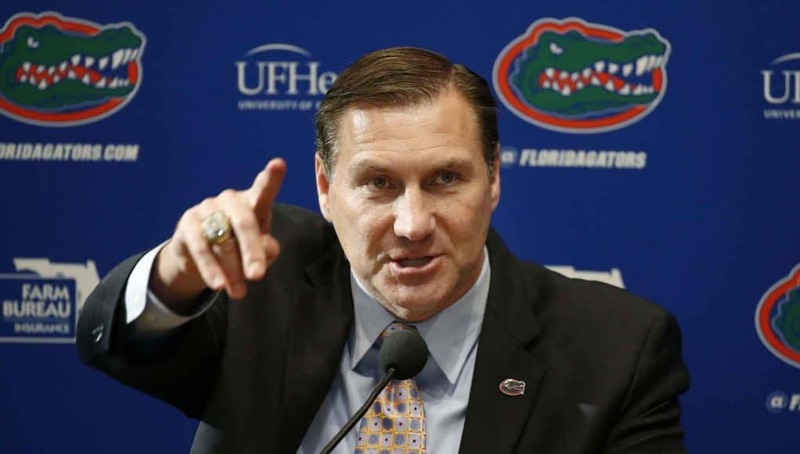 •	Mullen is going to use spring as a way for the guys to learn how to play hard and understand the new staff’s offense and defense more than a way to define the depth chart. 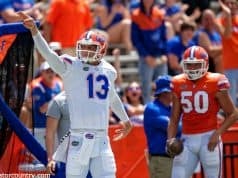 •	Quarterback Feleipe Franks was elected to the team’s Leadership Council by his teammates. Mullen said he thinks that will help him on the field as well because he knows his teammates have respect and confidence in him. •	The players really bought into the offseason conditioning program. •	Kyree Campbell, Brett Heggie, Malik Davis and Keivonnis Davis are all out/limited during spring. Keivonnis Davis is the furthest behind in his recovery and just started working out lightly again. •	Freshman Amari Burney will start out playing safety, but Mullen believes he has potential to play three or four different positions on defense as he matures. •	Chauncey Gardner will stay at safety and play some nickel as well.